Today I'm sharing my card that was shamelessly CASE'd from a card that Holly Stene entered in One Stamp At a Time Facebook Group's two layer card challenge. 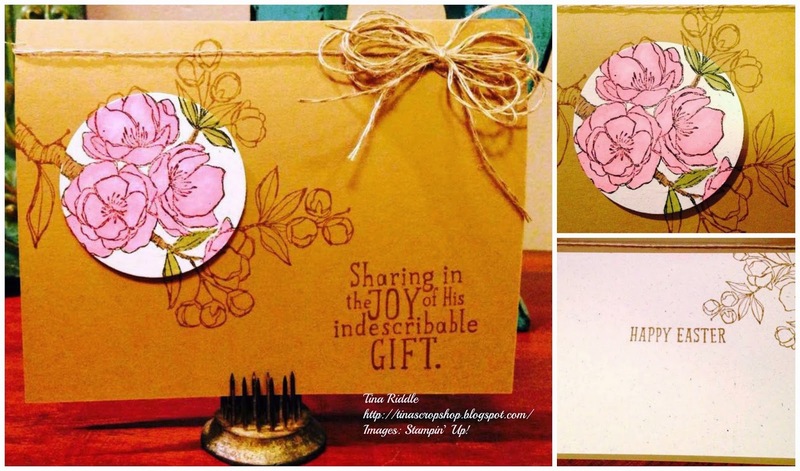 If you want to visit the amazingly talented Holly Stene's blog click here Holly used the new Stampin' Up! Moon Lake stamp set for her card and I used the same spotlighting concept with the Indescribable Gift stamp set. Like Holly, I stamped my image with Baked Brown Sugar Ink on Baked Brown Sugar Card Stock for a beautiful tone on tone look. I then stamped the image again with Memento on Naturals White Cardstock and punched out the portion that I wanted to spotlight. I colored my image in with Copics and popped it up with dimensionals. I love the way it turned out and hope that you do too! I hope you enjoyed my card!